Filament, a provider of enterprise blockchain solutions for the Internet of Things (IoT), has joined the Enterprise Ethereum Alliance (EEA), a member-led organization that aims to advance enterprise blockchain deployments leveraging Ethereum-based technology. Founded in 2012, Filament is a U.S.-based startup backed by Intel Capital, Samsung NEXT, Digital Currency Group and others. It builds comprehensive blockchain systems for the enterprise and the Industrial Internet of Things (IIoT). The company is already a member of Hyperledger, an open source collaborative effort advancing cross-industry blockchain technologies. EEA and Hyperledger joined each other’s organizations as Associate Members last year to contribute to the mass adoption of blockchains for business. Filament said that it has joined EEA to collaborate with industry leaders in pursuit of Ethereum-based enterprise technology best practices, open standards, and open-source reference architectures. “Our solutions feature turn-key support for Ethereum and Hyperledger Fabric, enabling devices to transact natively with multiple enterprise blockchain platforms. The EEA’s efforts in evolving Ethereum into an enterprise-grade technology helps advance blockchain adoption with our customers and partners worldwide,” said Allison Clift-Jennings, CEO, Filament. 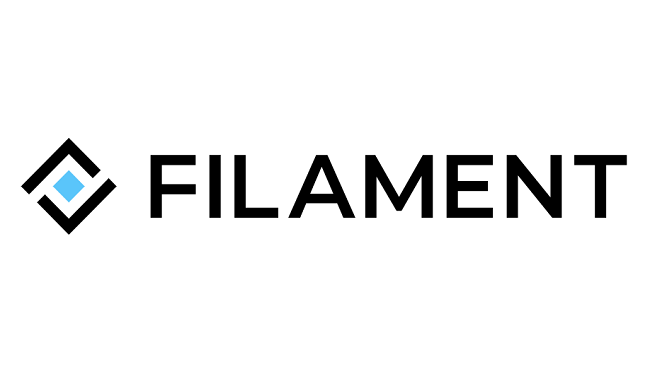 Filament explained that its Blocklet products provide blockchain native tools and technology for enterprises and industrial corporations, enabling them to securely process and record transactions directly from IoT devices, secure RFID tags, vehicles, manufacturing equipment and other connected machines. It said its solutions are being used by global corporations in the automotive, communications and other enterprise sectors. Launched in 2017, EEA is focused on developing a set of open-source, standards-based blockchain specifications that can be trusted and utilized globally for the betterment of all businesses and consumers. It currently has more than 500 members including the likes of Microsoft, Santander, JPMorgan, Accenture, BNY Mellon and many others. The commenting service is available only after having logged in. Subscribe to the TokenPost newsletter! Don't show me this again today.